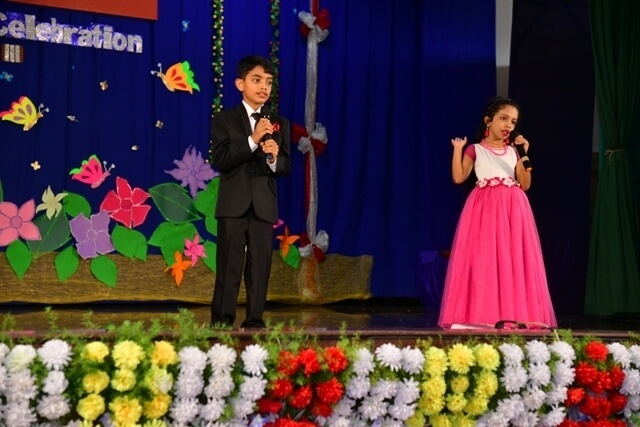 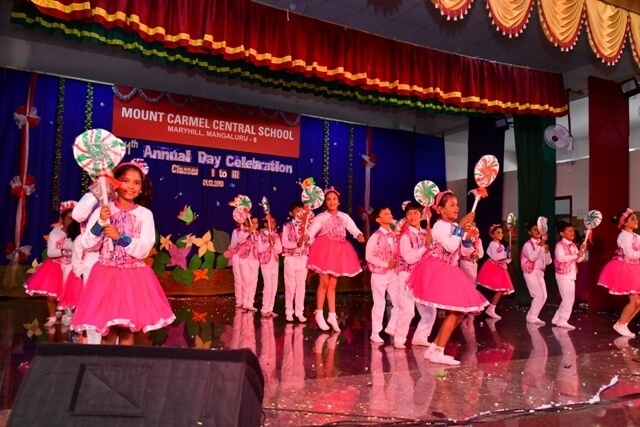 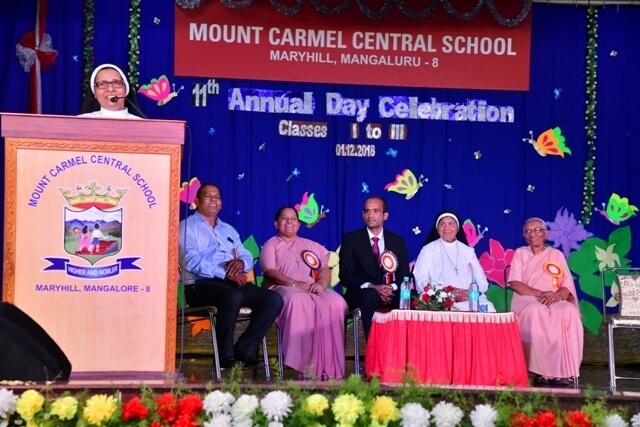 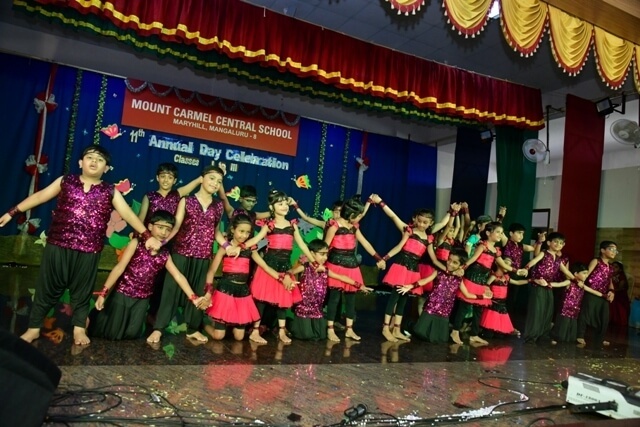 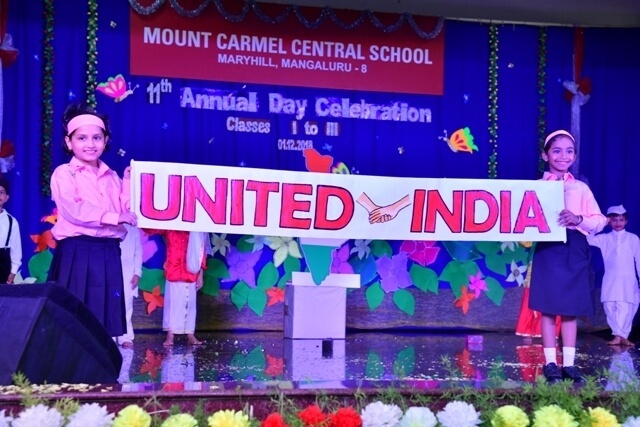 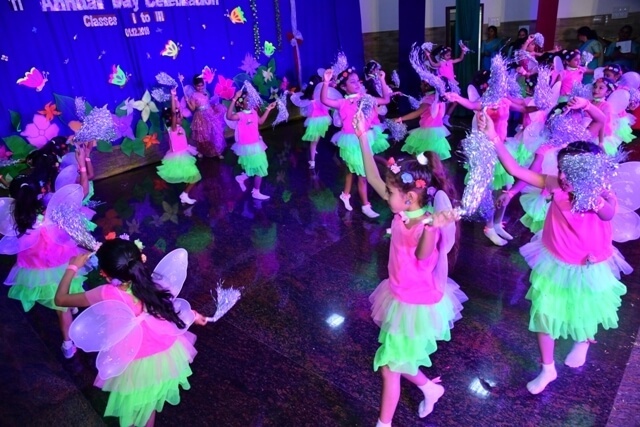 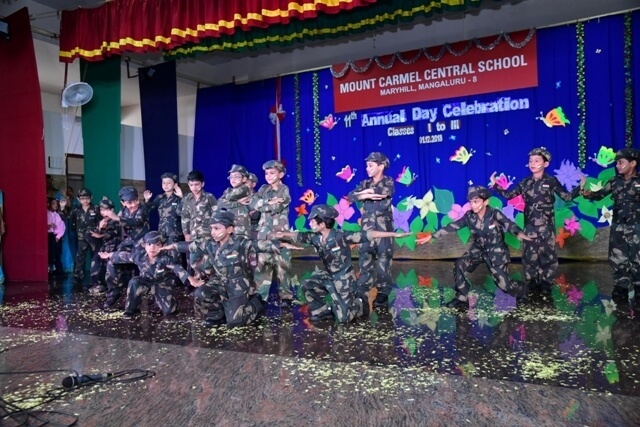 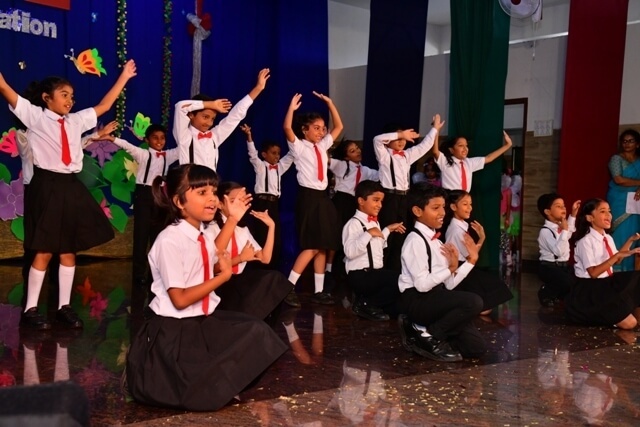 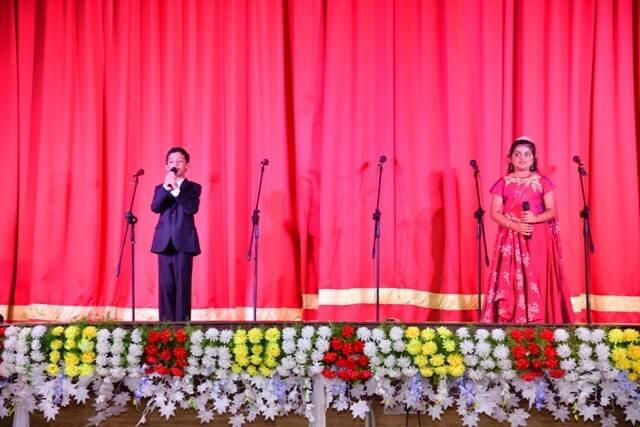 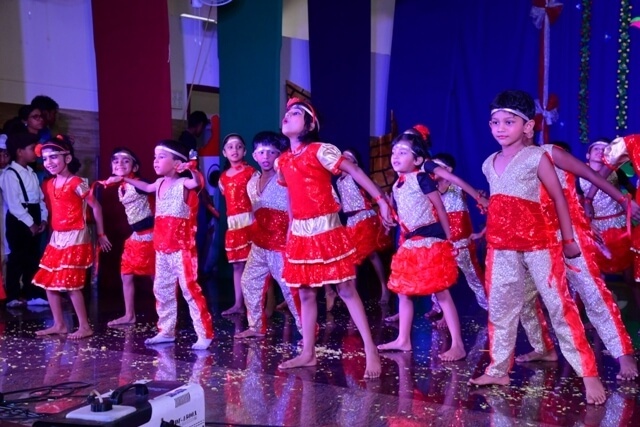 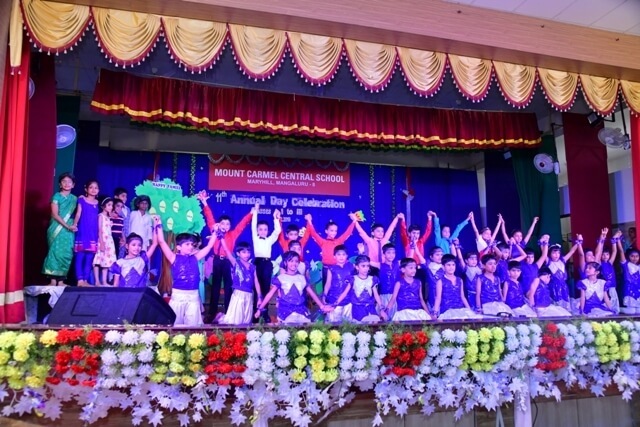 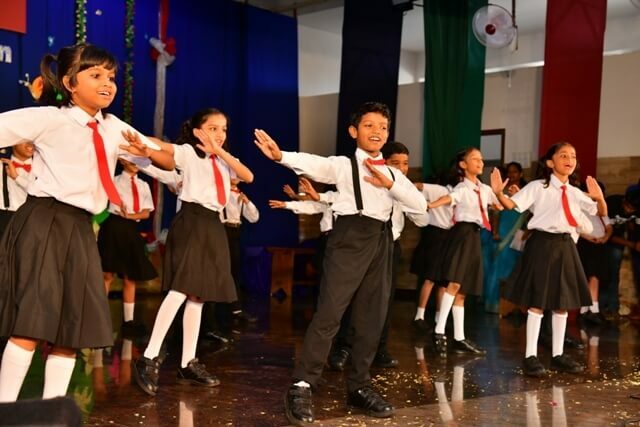 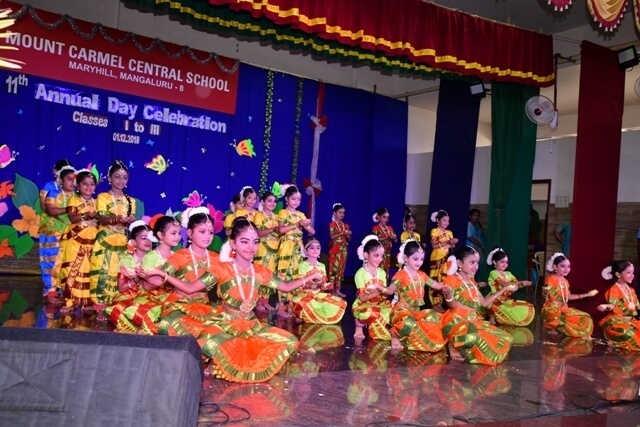 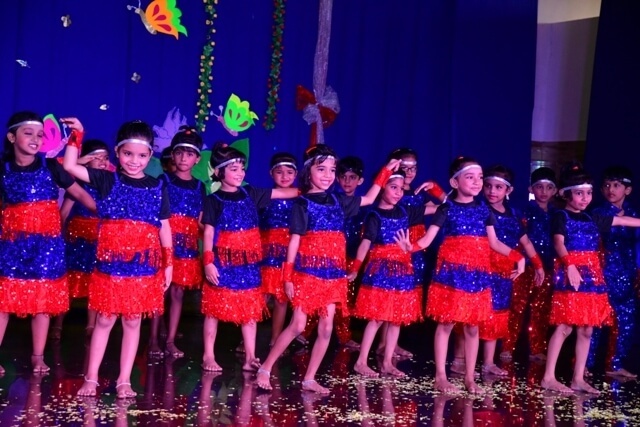 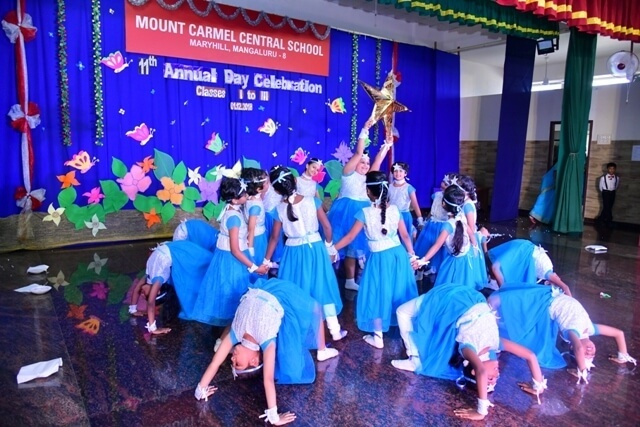 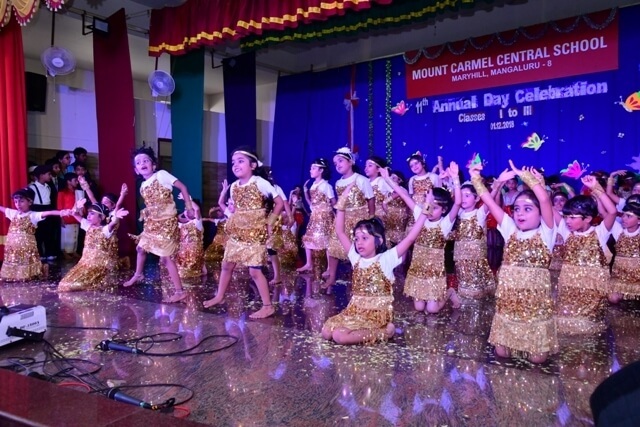 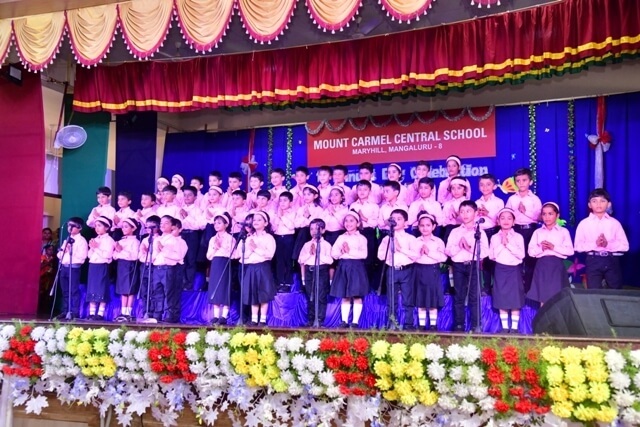 The 11th Annual Day of Classes I to III was celebrated in our school auditorium on Saturday, December 1st. 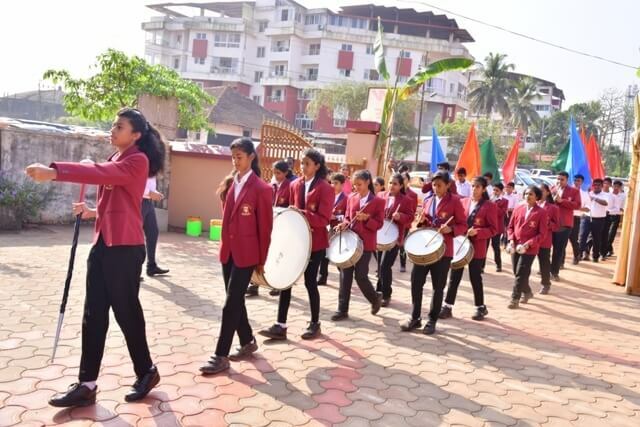 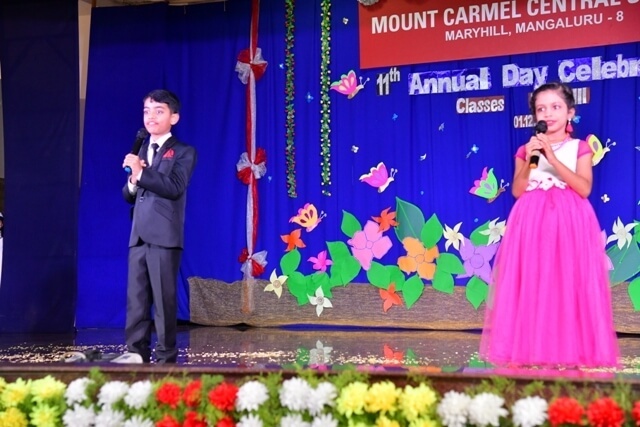 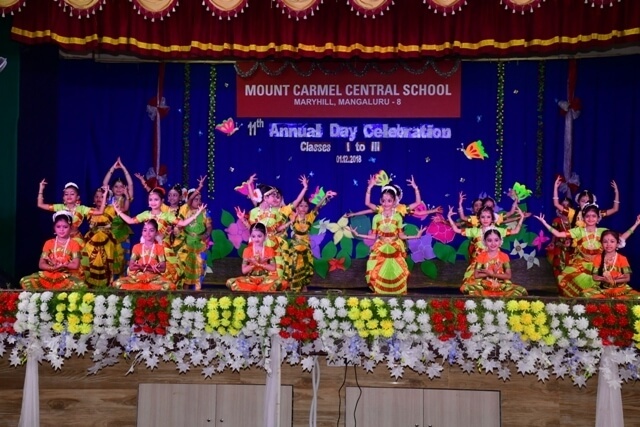 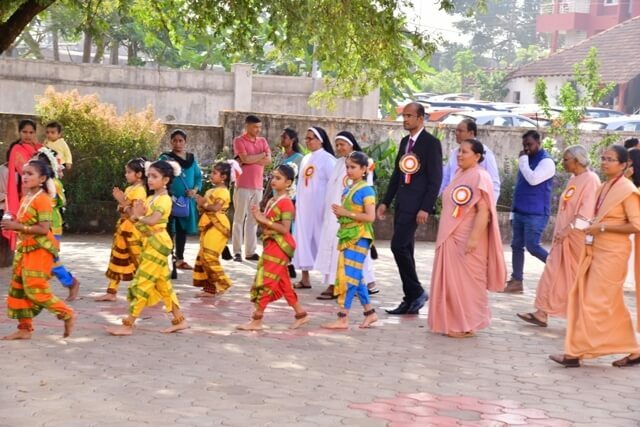 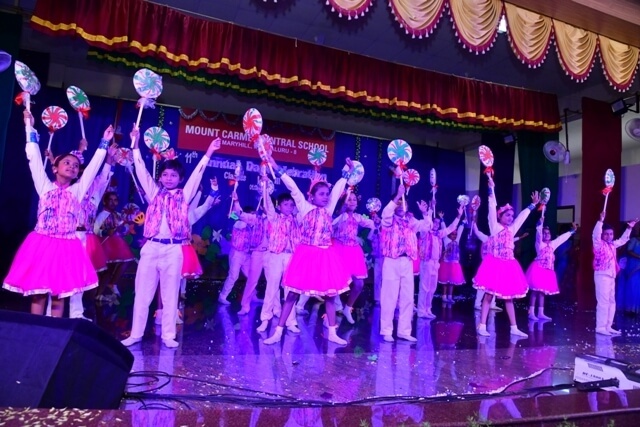 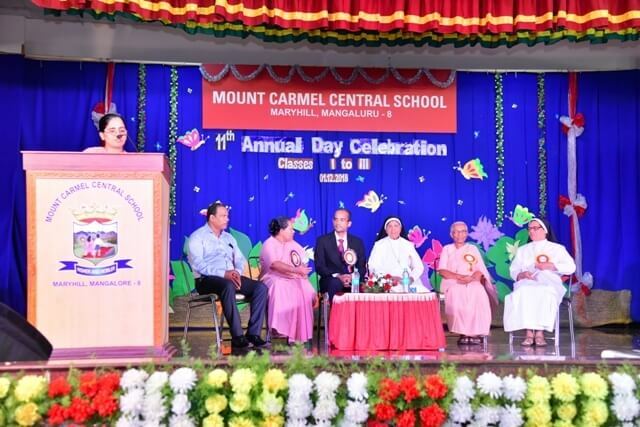 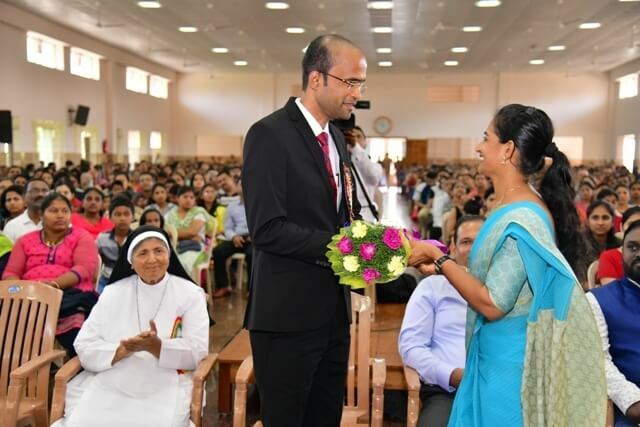 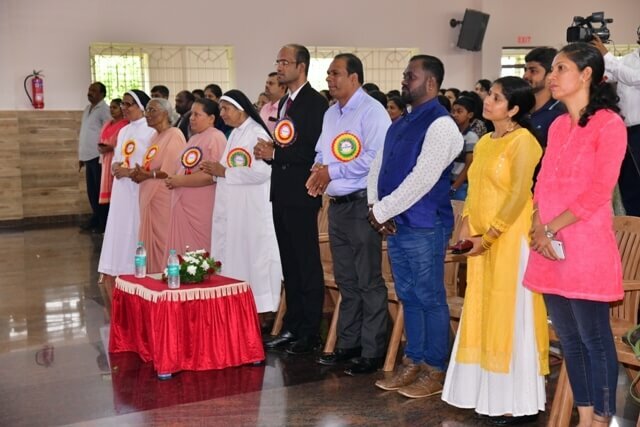 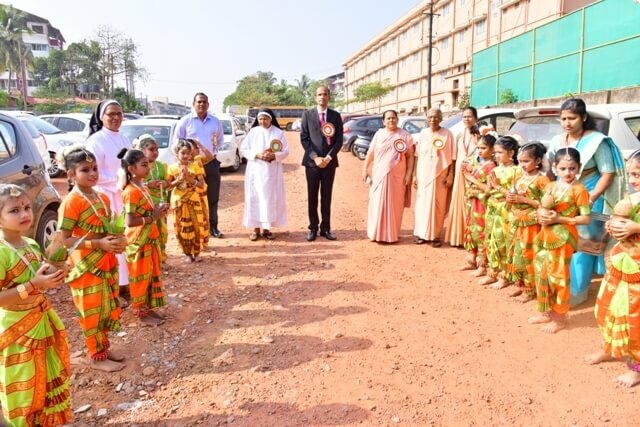 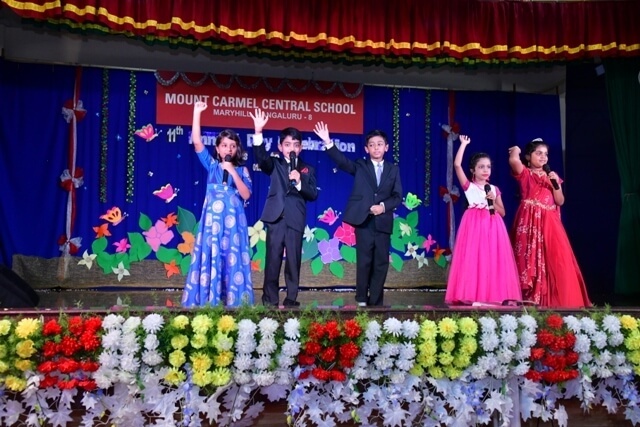 The Chief Guest for the morning function was Mr. Anil Lobo, Chairman, MCC Bank Ltd .MCs for the programme were Anissa, Nicholas, Kevin and Edlyn.The programme commenced with a prayer song invoking God’s blessings, which was followed by an enchanting welcome dance. 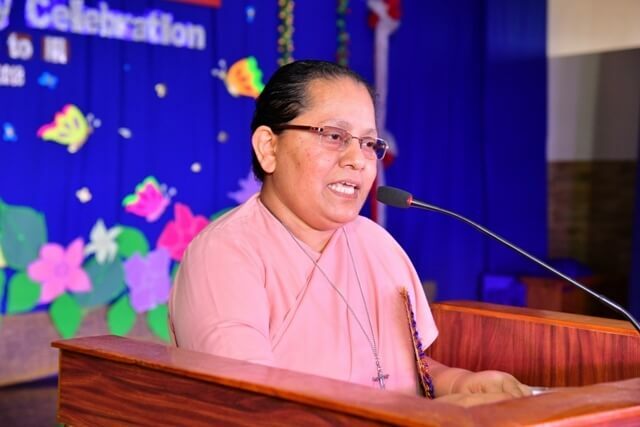 Sr. Melissa welcomed the gathering warmly. 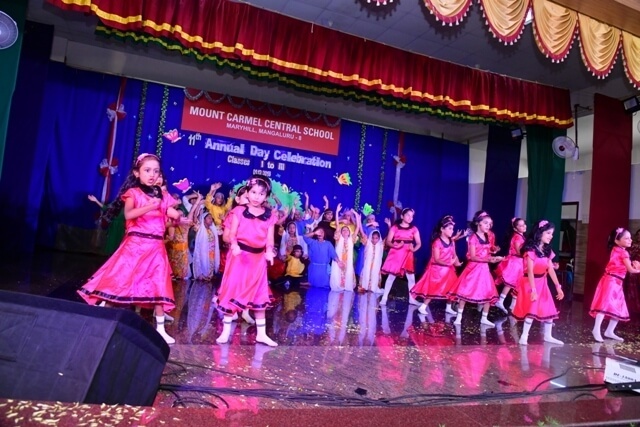 A short stage programme commenced and those who excelled in academics last academic year were honoured. 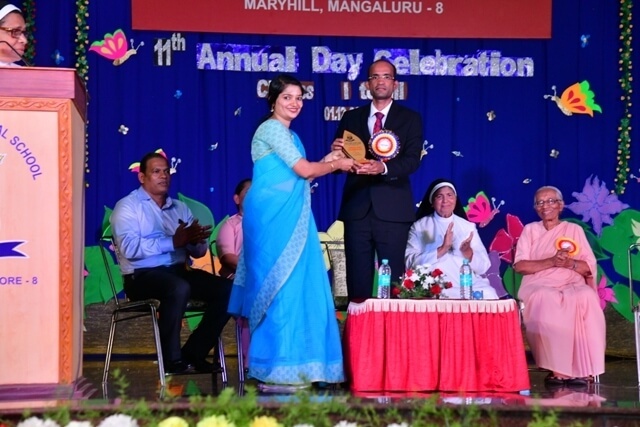 The chief guest congratulated all the students for their fine performances. 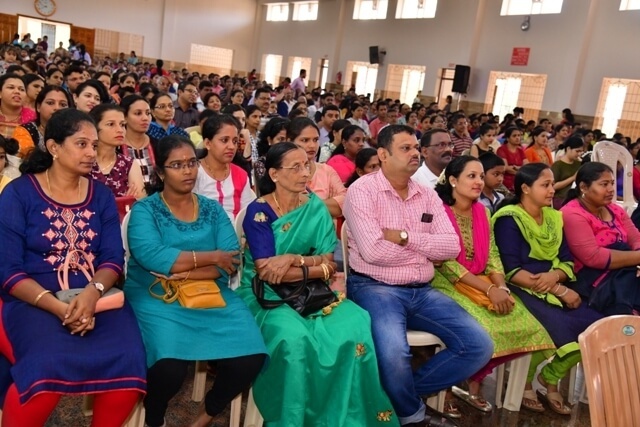 In his message he said that school was a second home as children spent a lot of time there and learnt many things from there. 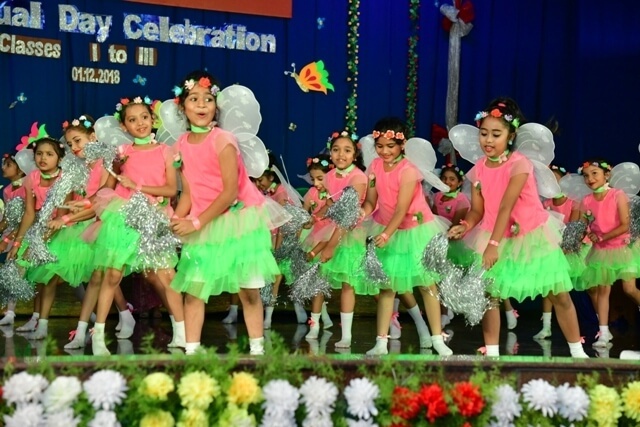 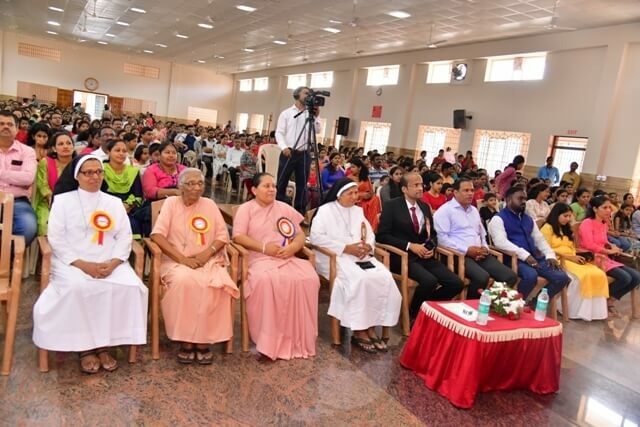 He praised the institution, naming it as the finest in the region, having the best teachers and the best of facilities and offering the best to the child. 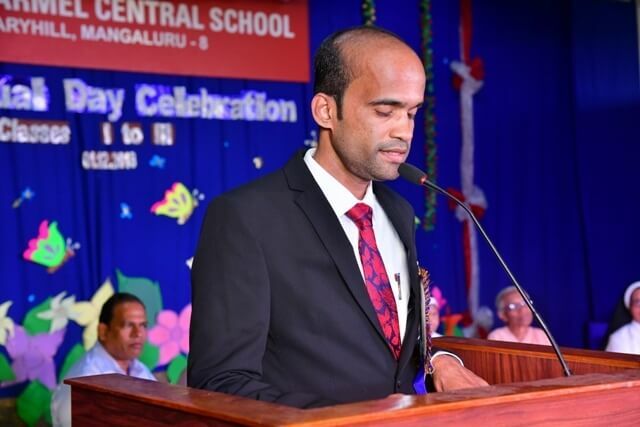 He added that his own son was a student in the school, he found it full of positive energy and he was very pleased with his development. 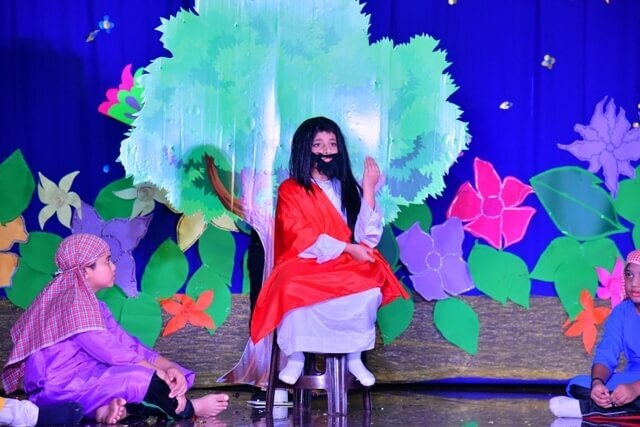 He urged parents to spend more time with their children. 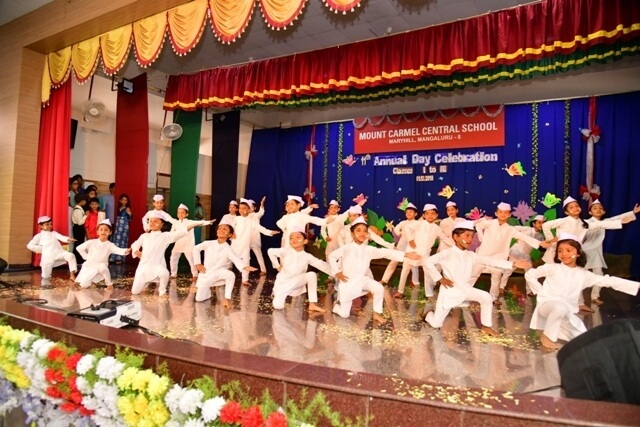 On the occasion of the 150th birth anniversary of Mahatma Gandhi, a series of dances by the students of class I brought out some of the values and principles that he stood for. 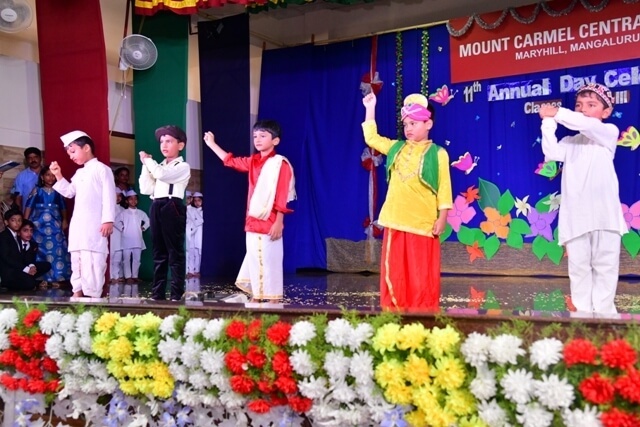 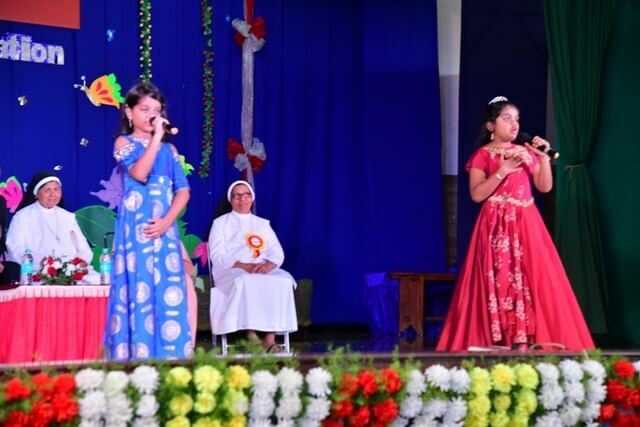 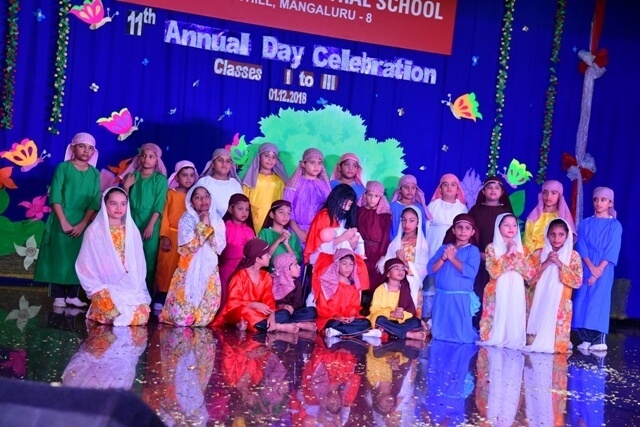 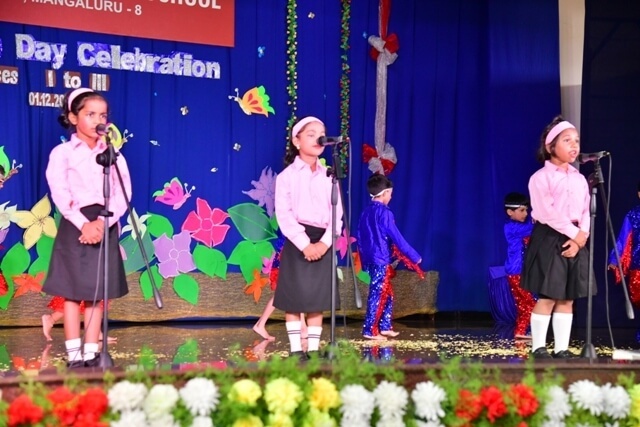 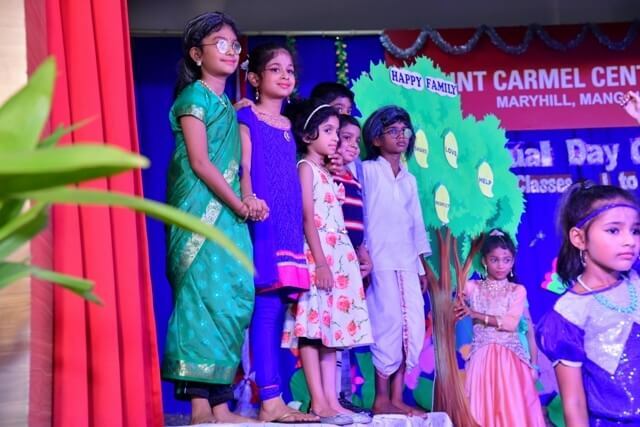 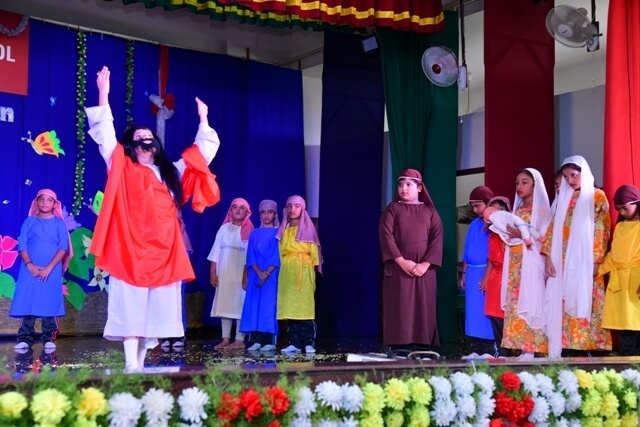 A beautiful and meaningful tableau “Let the Little Children Come to Me” by the students of class III enthralled the audience. 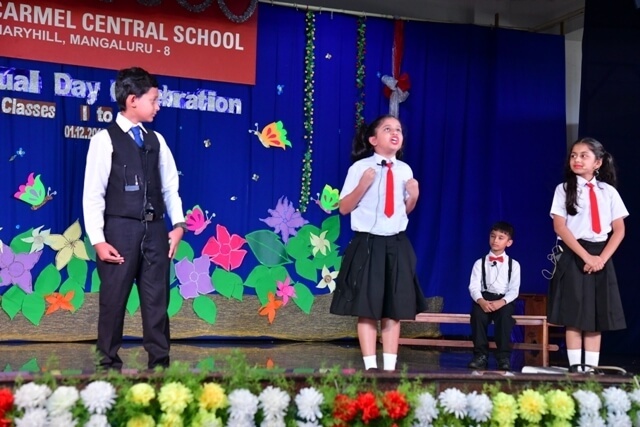 This was followed by a humorous English skit, “Dreams and Ambitions”,which conveyed a powerful message to ‘be who you are’. 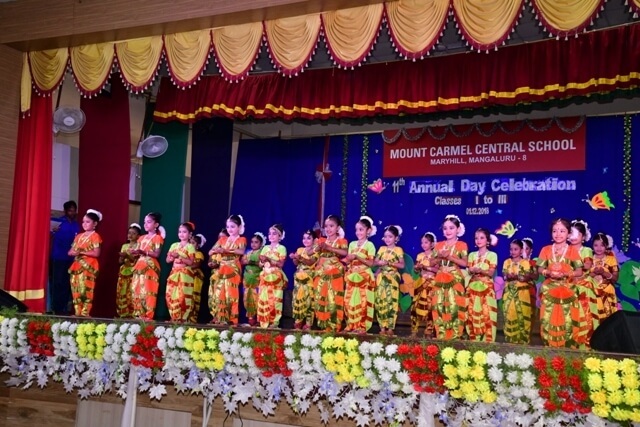 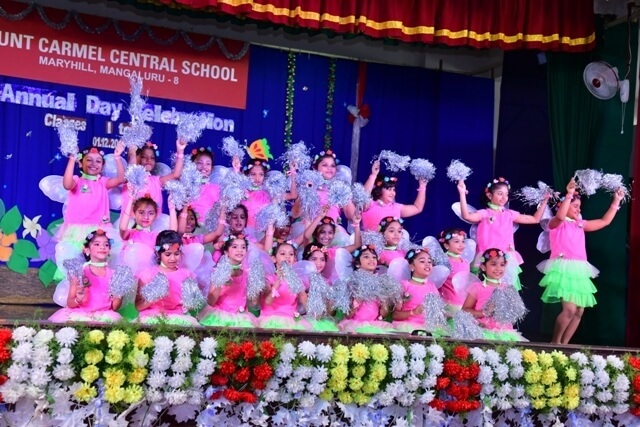 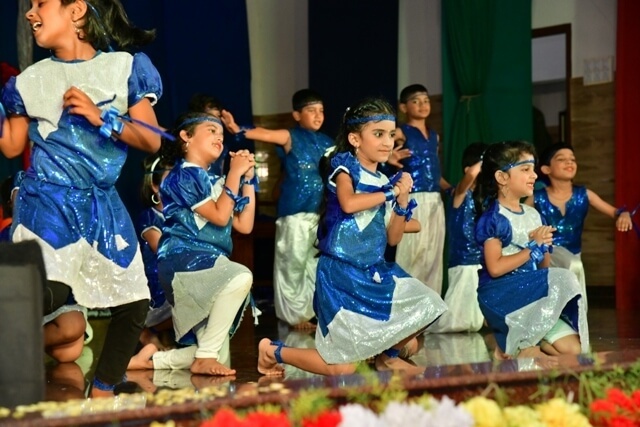 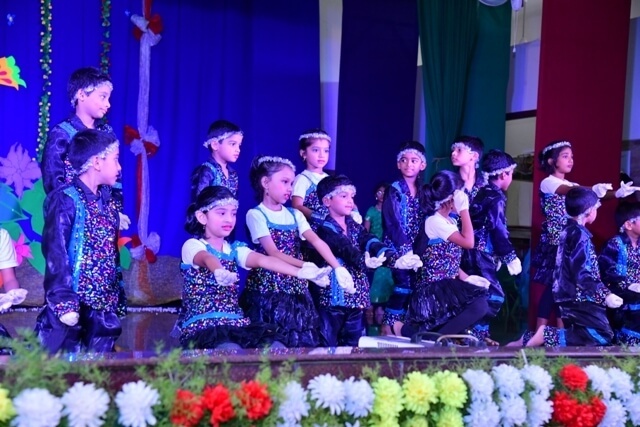 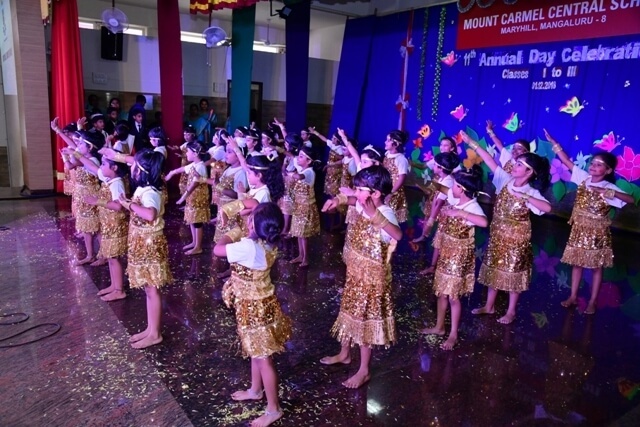 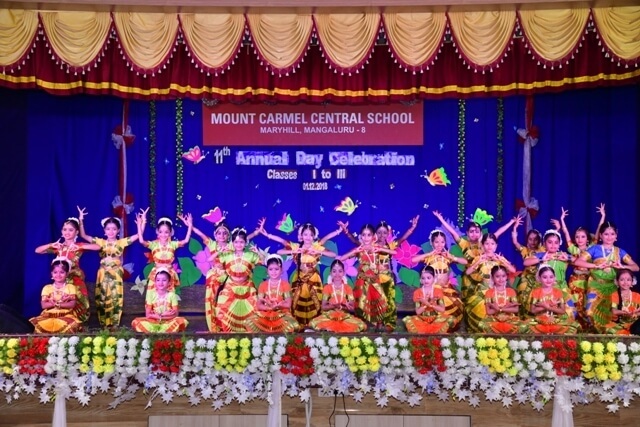 The next itemwas a graceful dance drama by the students of class II on the theme “Bonding” which reflected the importance ofa good home and a happy family. 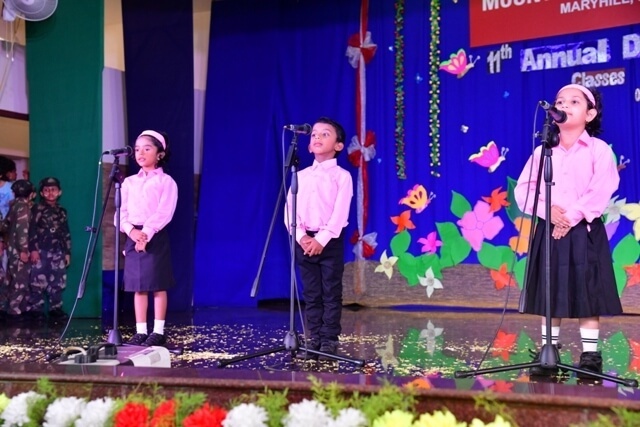 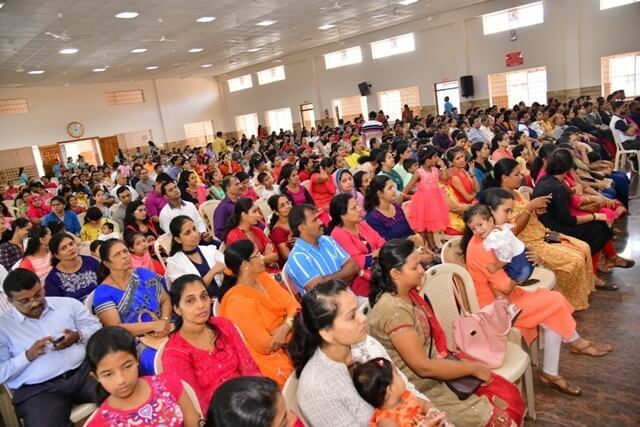 The singing of the National Anthem brought the 11th Annual Day celebration to an end. 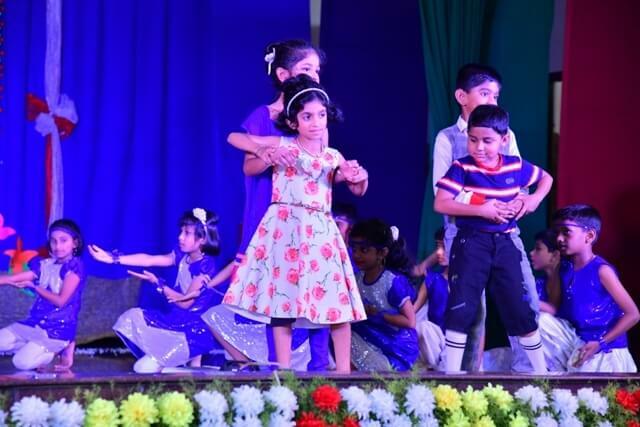 It was an enjoyable morning to the guests and parents.